There are many different ways a person with autism can be affected by music. For example, certain music can foster a desire to communicate with others. This is often in due part because music can help break the patterns of social isolation. Music can also be used to motivate spontaneous movements while helping to facilitate language usage and comprehension. In order to achieve music’s most positive benefits it is important for the music educator to provide a well-framed music lesson. This lesson’s primary intention should be establishing a strong connection between student and educator. Adamek and Darrow in the book Music in Special Education offer us some great tips on how to provide such a session framework. Here are 5 variations on their suggestions. be aware of your PROXIMITY. Pay attention to how close you can be near your student and aim to be as close as possible without causing any anxiety or even mild discomfort. This gives the student a feeling of support without being touched, and assists them on staying on track. Present your lesson concretely and SIMPLY. As mentioned last month when introducing a new piece to your student play it through in its entirety and at speed. It helps the student if their ear has been trained to the sound of the final product. Although each lesson will have unique content, it is important to keep the same FRAME for each lesson allowing the child and educator to experience greater success. For example start with a familiar greeting and move into a review of the previous weeks lesson, go over new material and then end with a regular and familiar closing. Include a time of FUN in each session. Just improvising and playing together can open a conversation between the student and teacher – music can speak more than words. My company has a long standing client who during his music therapy session would often begin to sing the familiar game show Jeopardy theme song….and would move towards this song at every opportunity. In speaking to my colleagues and in some of the readings I have done this is described as common during a child with autism’s music therapy session or music lesson. Children with autism may gravitate towards snippets of songs or songs in their entirety from game shows, movies or video games. From this starting place it is suggested that the teacher or therapist gradually decrease the usage of the student’s preferred musical interest (ie. the game show theme song) and introduce variations to the theme in the form of improvisation. Suggestions include: stay in the mode but move around the piano (or other instrument), change the rhythm or introduce a new timbred instrument. The long-standing client above has transitioned very well into new musical improvised conversations – albeit over time. Good luck and thanks to all the teachers out there who are working so hard. 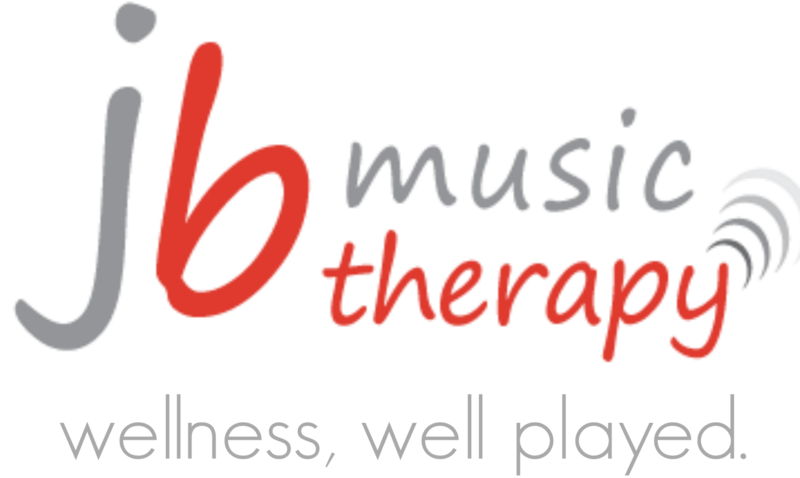 Jennifer Buchanan is a professional speaker, performer and happy owner of JB Music Therapy. She is available to present at your next conference to inspire your audience with music that aims to make each moment more memorable. A great series to run- very practical and concrete ideas, as well as great video clips!